CleanLink’s cloud-based Portal service gives you a secure, easy to use platform to manage and share documents & files with your Clients and Staff via the web. The easy to configure the Portal banner can be made to suit your company branding and with a unique login page that can easily integrate into your own company website. 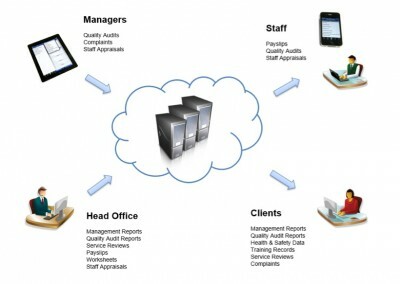 You also have many choices as to what Client, Site and Staff information you let your Clients and Staff view. The Portal comes with standard folders to enable you to bulk upload QC Audits, Invoices and Payslips directly from Site Manager in one easy step. Folders and access rights be be easily set up to enable your Clients and Staff to have access to any files, such as Service Reviews, Site Issues, Complaints, Key Performance Indicators, Site Health & Safety Information, Training Records and any other documents that you might want to share. You can also give your Portal users access to be able to raise Cases. Once a case is raised, it is sent to Site Manager, where you can import it and log a response. 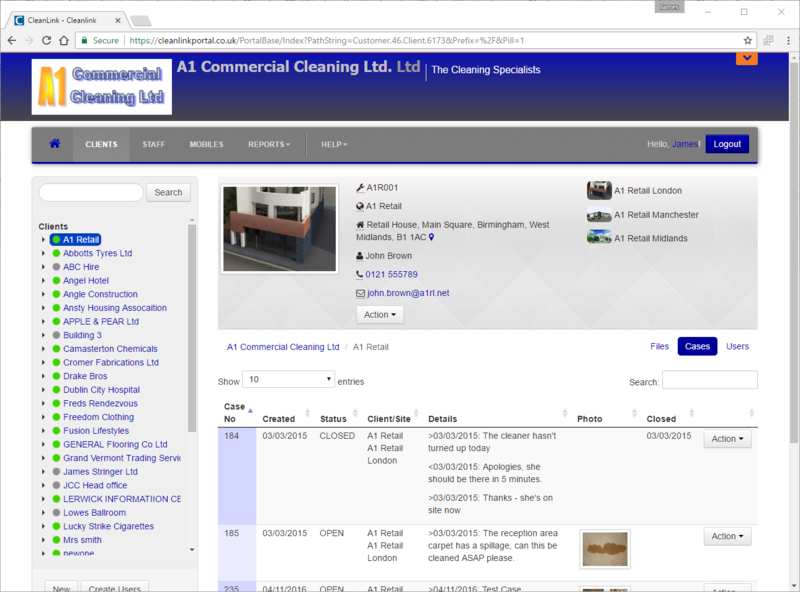 All updates are seamlessly shared between the Portal and Site Manager, allowing you to keep your clients informed. Save postage and stationery costs on your Payroll runs by enabling your Staff to view and download their payslips, P60's etc. You can upload any document into a specific Client's secure folder and authorised users will be able to view and download them. 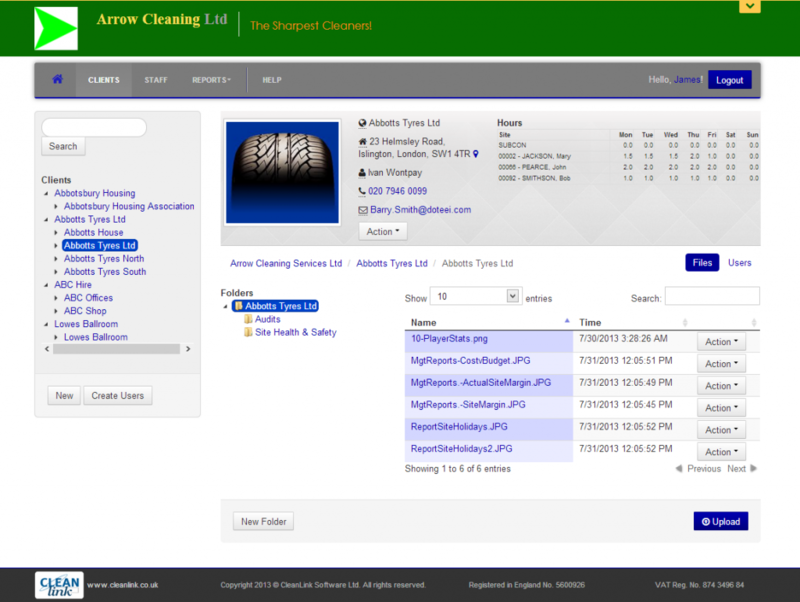 Each Client / Staff user can also create their own folders for storage of documents, i.e. copies of quotes/training records, payslips etc. The Portal works seamlessly with Site Manager to update Client Site and Staff details, Cases and allow the automated posting of Audits and Payslips to the respective Client and Staff folders. 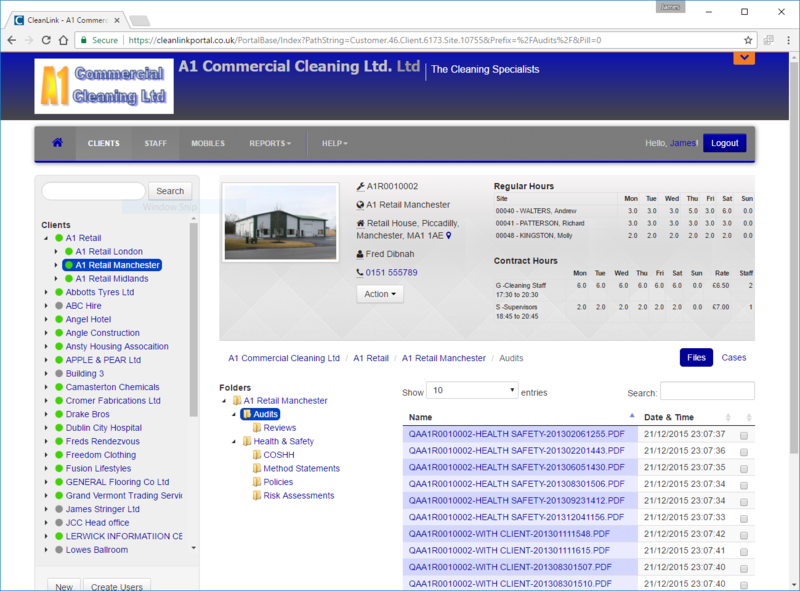 With over 470,000 documents and files uploaded, and accessed by over 7,300 users, the CleanLink Portal has quickly become a popular and well-used service for our customers.